It's A Brooks B15 vs B17 Showdown: Ding, Ding, Ding! 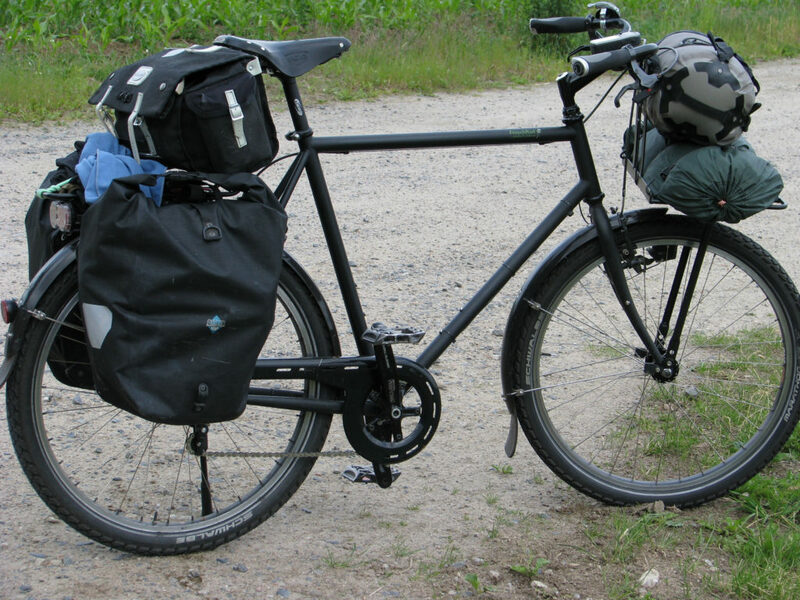 The saddle is the most important part of any bicycle. Have a bad one and you’ll learn to hate cycling. Have a good one and you will have no problem taking your favourite bike on long journeys all over the place. Leather and comfort have long gone hand in hand so I’ll be examining the Brooks b15 vs B17. 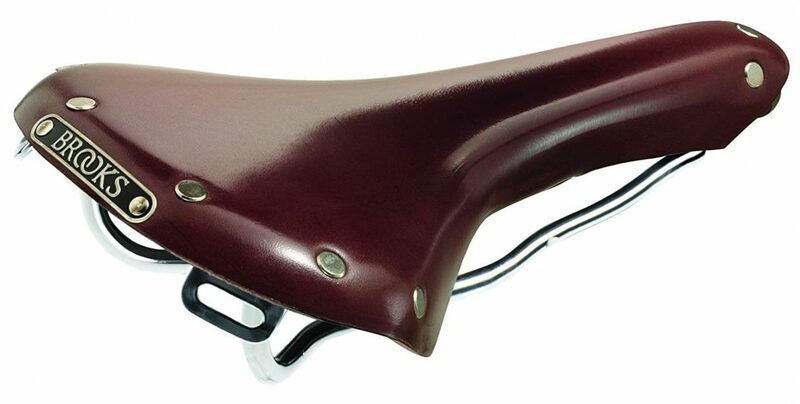 Brooks is a company based out of England and have a long history of making traditional leather saddles. Everything they produce is handmade and saddles are guaranteed by the company. The only problem is since they don't franchise and have done little to expand their home base there is a limited ability to have them repair any saddle that becomes damaged, even if you do have a guarantee. This reviewer must love Brooks saddles because he owns 9 bikes and all have Brooks leather seats. Impressive. One of the saddles he bought has lasted him since 1975, which is a testament to just how good these hand made saddles can be. You have to treat them right though! Brooks gives you. Brooks only endorses one cleaning product and that's Proofide. He finishes by letting us know the B15 is his favourite saddle of all. A glowing review from someone with many. As with the B15, the B17 is handmade in England. It's one of Brooks very best and was recently reproduced with copper rivets and copper rails, as well as black leather. This has been fashioned in celebration of Brooks' 150th anniversary. They love it and it is very popular. There are few variations of this model. If it isn’t comfortable, you’ll need to shop around. This reviewer is obviously another fan. She's a regular cyclist, doing about 20 miles to and from work daily, along with some decent 100-mile trips at the weekend. While she loves it and has never had an issue with the B17, she again mentions that you do need to care for it. It if rains frequently she explains that she covers it and lets it dry slowly. I personally can't express how important this is. Don't try and rush the drying process! We'll examine the reason why a little more in the next section. With the right care she’s is positive you'll be thankful for the investment in the Brooks B17. 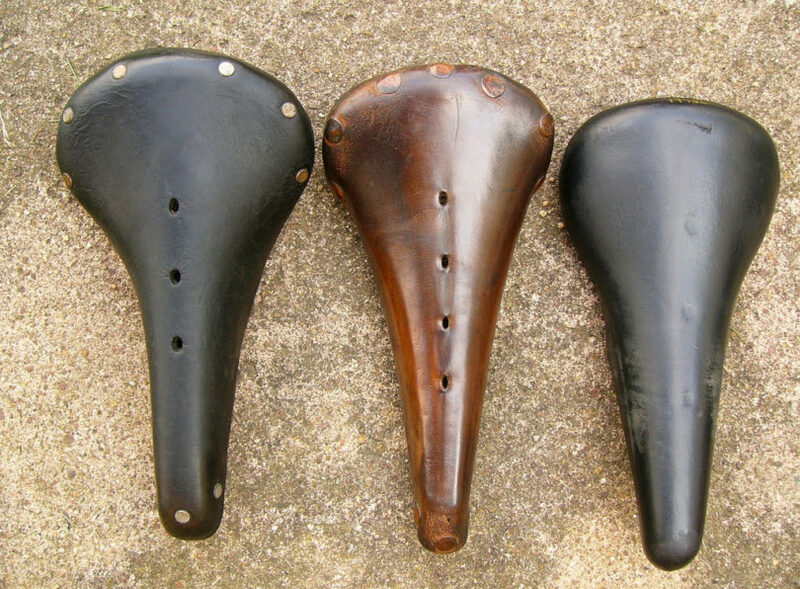 Leather saddles aren’t for everyone and changing the saddle on your bike is not something you should do if you’re already comfortable with what you have. Everyone’s anatomy is shaped differently, and there’s no one size fits all. Related Post Sixthreezero Bike Reviews: Which Beach Cruiser Is Best? Both of these products are leather seats. This is an important feature because it comes with some unique properties. Firstly, leather responds very weirdly when it gets wet. Try your best to not let this saddle get wet. Carrying a plastic bag under the saddle which you can bring out when it's raining is an easy and cheap solution. There are saddle covers you can invest in but you had best also buy some mudguards to prevent water flying onto the underside. Yes, it's that important. Be sure to read my full review of what to do when your saddle gets wet - here. Because both of these products are leather you are going to need to familiarise yourself with what tensioning is. If your saddle does get wet, don't try and tension it while it's wet. Leather will contract as it dries. Let it dry naturally, and don't use a hair dryer on it. Place it somewhere well ventilated. 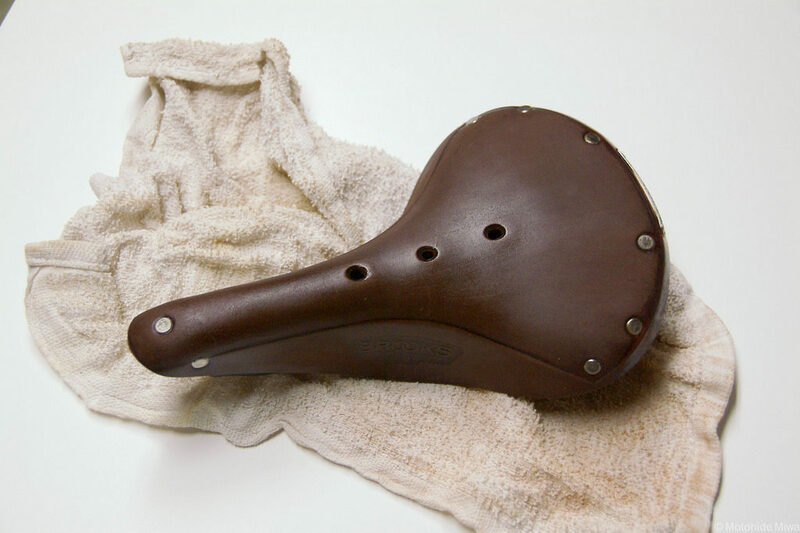 If the shape looks odd after it's dried, then very slowly and cautiously try tensioning the saddle back into shape. If you're not familiar with tensioning then it is always best to take it into a shop. Just remember, if it's not a Brooks approved shop you will lose their guarantee. If you live outside of England or New York then don't worry, the chances are you won't have a Brooks approved shop around you anyway. Maybe a leather saddle isn’t for you, the price is definitely something that means if you don’t love it you shouldn’t use it. A simple and cheap alternative is a gel seat. The Outerdo is one of the cheapest around but it has a high satisfaction rating amongst customers. It's a hollow sweat, designed to allow cool air to keep your backside from being too hot, but it is still gel based. This means it should begin moulding to the contours of your own body almost immediately. Another plus is the rain won't bother it. This seat is designed for women. More specifically, it's designed for women who race. It's a combination of leather and gel, which makes it extremely comfortable. Since it is leather, you should try and avoid getting it wet, but the gel combination tends to help it settle in much quicker than a pure leather saddle would. If you're a woman having issues finding the perfect saddle from the generic kind, then this might just be worth your investment. Which saddle you buy is going to completely depend on whether you tend to cycle shorter commutes, race, or go for longer distance bike rides. If the longer rides are more your style then choose the B17. If, on the other hand, you want the perfect racing seat then pick up the B15 and be on your way.